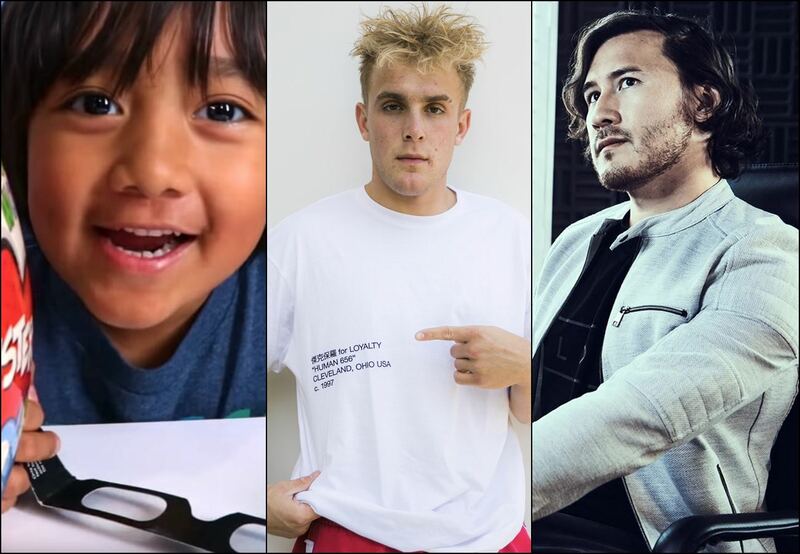 Eight-year-old Ryan has been named the highest paid YouTube star of the year surpassing well-known video bloggers like makeup guru Jeffree Star and gamer PewDiePie. Ryan’s parents (the last name is kept confidential) started the YouTube channel by the name of Ryan ToysReview in 2015. In the vlog, the couple filmed their son reviewing and playing with different toys. Today, the channel has grown to over 17 million subscribers and nearly 26 billion views across all his videos. Additionally, Forbes has reported Ryan ToysReview to garner around $22 million this year – outdoing the much older and established YouTubers. Ryan came to the top position this year from his eighth place last year. He has also doubled his $11 million paychecks over the last 12 months. PewDiePie, the gamer was once the most successful YouTuber. However, he failed to maintain his position after some controversial content over the last few years. Another famous vlogger Logan Paul came tenth in the list. His ranking (along with a paycheck by YouTube) decreased after he posted comical videos along with a body of a suicide victim.